Or How I Turned One Book into Three! How did I know where to stop the first story? The second book? 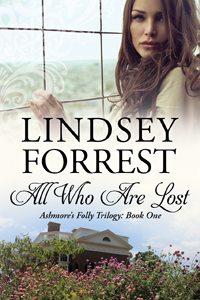 What creative decisions went into making Meg’s discovery the last chapter in All Who Are Lost? Why does All That Lies Broken end on a cliffhanger? I am sorry to say that the Muses did not help (although listening to Muse probably did). I did approach this all along as one big story and not a series. The difference? The In Death books are a series. While character and narrative threads tie the books together, each story is self-contained. One big story? You need not look any further than Outlander. Imagine starting with Drums of Autumn or The Fiery Cross without ever reading Outlander. The stories in those books won’t make sense unless you start from the beginning. For that matter, some of the events in Dragonfly in Amber won’t resonate unless you know what happened between Jamie and Black Jack in Outlander. This is a story that you cannot read out of order. The In Death books? Of course you can read in any order you like. You might wonder at a reference to something that happened in another book, and if you start with one of the more recent books you won’t understand the anguish Eve went through over her childhood, but by and large you can read each story by itself. I knew my story was one big arc, but it had to be divided up. For that, I used the idea of the three-act structure. Each book would be an act in a play, and each book would have three parts. This is a well-used structure that feels familiar and comfortable to readers. I’ve actually read some reviews of other books on Amazon where people complained that a story should have been a trilogy instead of five books. Three feels comfortable to readers; five does not. Strangely enough, seven is also a comfortable number (Harry Potter, Chronicles of Narnia, even the structure of Tolkien). So now I had to divide the story into a trilogy. How? I read some warnings about never ending on a cliffhanger because readers don’t like them, and making sure that you end in a good place, and some other pieces of good advice that I’ve already forgotten. Then I thought — I like cliffhangers. I don’t mind leaving the characters in an uncertain position. I didn’t even scream when Diana Gabaldon left us in mid-conversation at the end of An Echo in the Bone (for three years!). I decided to do what felt right for the story and use whatever means worked, and to hell with the rules. That’s right. I created a spreadsheet, did a word count on each chapter, and (with the eventual goal of 600K words) roughly balanced the story into three parts. Once I had a word count down, I started looking at the character and narrative arcs. I wanted the first book to end with Richard and Laura sort of together, each accepting that they are now a couple. Richard in particular had to be brought along from his initial reluctance, and it’s at Monticello that he tells her that they are “well and truly caught.” I actually thought about ending the first book there, except that it left a piece of Diana’s story dangling to the second book. I wanted to get the back story of the Ashmore marriage out of the way before Book 2 so that everyone can stop concentrating on what happened then and start worrying about what is happening now. 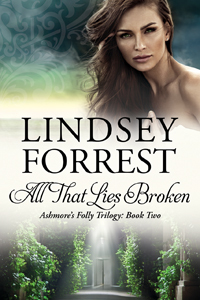 So I shifted the last chapter about the Ashmore marriage to the first book. Then I had to decide: did it go before or after the Monticello chapter? In fact, the placement of some of Diana’s chapters gave me a great deal of trouble as I tried to figure out the optimum narrative flow. 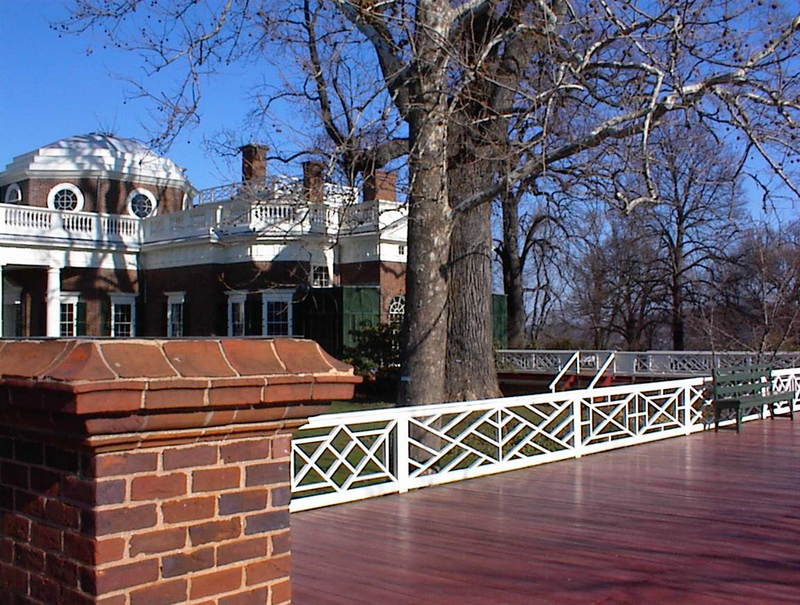 I finally decided that, even though the last Diana chapter does not put either Richard or Diana in the best light, it should come after Richard and Laura talk in the Monticello summerhouse. I used the argument prosecutors use when they have a witness with a less than sterling past: Bring out the bad in direct, because it dilutes the impact when the defense brings it up later. (Thanks to the late great Vincent Bugliosi for that idea!) Richard does say that, in the last big fight he and Diana had, neither one of them had ever behaved so badly in their lives, so when Diana remembers their last fight, the impact of some of his unforgivable comments is diluted by his prior admission to Laura. Placing the last Diana chapter after Monticello allowed me to place the penultimate Diana chapter (the discovery) before Monticello, so that the reader gets Diana’s version of the Francie affair first (putting Richard in a bad light), and then Richard gets to tell his side of the story. So you know that he has accepted responsibility for what he did and that he feels a great deal of shame over it, but — I hope — you don’t hate him for it. 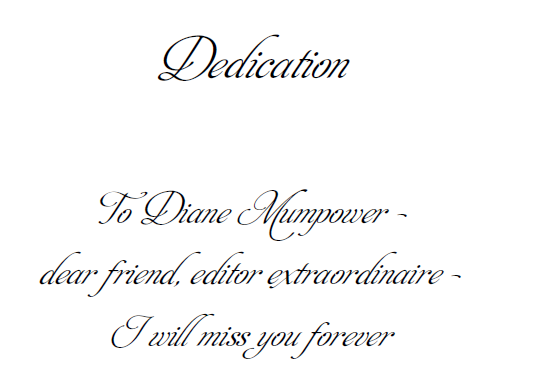 Still, ending All Who Are Lost on Diana’s declaration of War on Mr. Perfect didn’t feel right. The next chapter up was Lucy’s meeting with Diana in the coffee shop, and that was definitely not the place to end the book. So I looked at the timeline and tried to decide when and where Meg discovers the truth of her parentage, and I realized that it had to occur sometime on the weekend that Richard and Laura spend together. I pulled some narrative I had already written for the next two books, wrote the “missing moment” of Meg’s discovery, and created Chapter 24. Since Meg is also an important character whose actions affect the future plot line, I thought it important to give some insight into what makes her tick. The other consideration was the character growth of both Richard and Laura from the beginning through Monticello. As the story opens, Richard is a reserved man who keeps everything about his personal life to himself. He does not “kiss and tell.” He has never kissed and told. But Laura and the reader still need to hear his side of the Francie affair, and he has to come to a place where he feels comfortable enough, and is willing to take the chance, to tell her (and us) what had happened. We all know a lot more about Richard after Monticello, and we now know that this was a big turning point in his life. He screwed up, big time. But it led to a spiritual awakening on his part and, eventually, Francie ended up making him a better man. He was a self-righteous prig when he was younger; he did sit on his moral high horse with Diana. Francie brought him down a peg, and he’s a better man for his monumental moral failing. He’s also been in stasis most of his adult life, as far as women go. He’s had a few relationships, but while he cared for the women, he kept them at arm’s length. This man has kept his emotions and passion in a deep freeze. By the end of All Who Are Lost, he is partially defrosted (the rest will occur halfway through All That Lies Broken), and he is at least open to a relationship with Laura. Laura has also been in stasis. She stayed in a marriage with a man she never loved enough until it ended for them both. She has consistently put the welfare of her daughter before her own. Cam wanted to keep Laura to himself, and she let him to the point where she has never learned how to exist on her own. As the book progresses, Laura begins to grow up and out. She lives by herself for the first time in her life. She makes decisions. She stands up to Richard (as Diana said, where would Laura get the nerve to fight with him?). She stands up to Lucy, an even scarier prospect! She admits her feelings to him — not only her love for him, but her fury against him for Francie. She finally allows herself to remember what she did to him at Ash Marine. And, at Monticello, after getting so jealous of Francie’s memory that she makes a complete fool of herself, she realizes that she isn’t her seventeen-year-old self anymore. She doesn’t have to be jealous of a girl, because she is a woman. The boy Richard had been is not enough for her now; she wants the man with the nicked soul and banged-up heart. She still hasn’t told him the truth of what she did — we have two-thirds of the story to go — but Laura is now on an emotional par with Richard. She is ready to deal with the man as a woman. At the beginning of the story, Laura still sees Richard through the prism of a childhood crush: she refers to him several times as Prince Charming, she thinks of him as the prince of her childhood, she is nervous and horrified that he might know her feelings about him. That’s infatuation. By the end of the first book, she is meeting him as an adult woman, an equal. She no longer sees him as a fairy tale prince; she sees the lonely soul who has stumbled and fallen and picked himself up. She sees him as a man. So All Who Are Lost ends with Richard and Laura in a better place than where they started off and Meg learning the truth about who she really is. We can now launch into the events of All That Lies Broken. Whew! This is a long post! More later on how I assembled All That Lies Broken. I’m not going to add a character sketch for Cameron St. Bride, but I did want to post his picture. I have always thought he looked like the young Brett Cullen (actor from TX who had a supporting role in Apollo 13). Here is the link to the headshot that I put in my writing notebook for Cam. It’s the third headshot in the fourth row. If you click it, you’ll see a larger version of the photo. Naming a character is as fraught with anxiety as naming a child. With a child, however, you don’t know ahead of time whether or not the name will suit him/her, and she can always call herself Liz instead of Beth later on! In fiction, the name must fit the character; it is actually part of the personality of the character. Originally, Richard’s family name was Brandon. This is an old Virginia name, and I thought that Richard Brandon was exactly right for the scion of an aristocratic Virginia family. There is even a plantation called Upper Brandon. Then my friend Patti Burroughs pointed out that it was one letter off from Richard Branson, who couldn’t be more different from my hero. I needed a name that sounded like a family that might have come over from England and settled in Virginia in the early 1700s, and I went through a number of ideas before I thought of James Monroe’s home, Ash Lawn, which is adjacent to Monticello, and the name Ashmore popped into my head. I ran it by a few people, who approved it enthusiastically. Diana was one of the names I thought of for Laura, but it never fit. Diana herself was originally Leslie, and I still think that might have worked. Then I must confess, I read a biography/tell-all about Diana, Princess of Wales, that was not at all complimentary about her mental state and, indeed, implied that she was a borderline personality. My Diana is not borderline, but she is definitely a little whacked out. So the oldest Abbott daughter became Diana, for the Princess. I actually like the name Emma. I wanted both of Cam’s siblings to have short names, and Emma popped into mind. I’ve never met an Emma that I dislike, but I do dislike Emma St. Bride.